The Supreme Court today asked the Centre to expedite the process for appointment of a Lokpal. 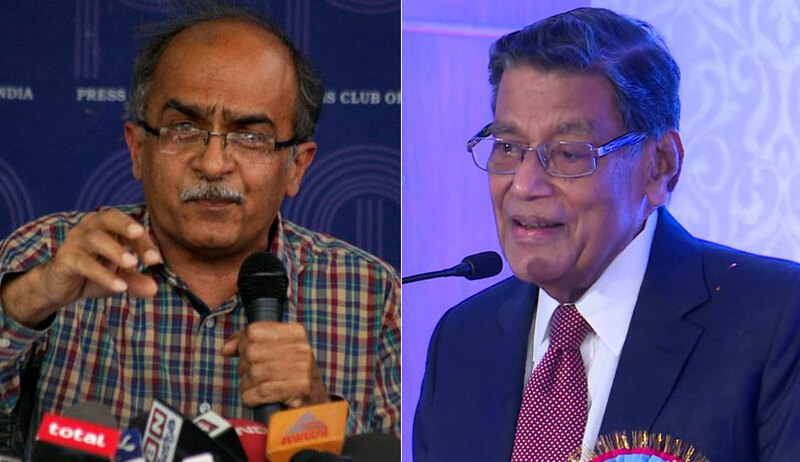 The remark came when Attorney General K K Venugopal submitted before a bench of Justices Ranjan Gogoi and R Banumathi that a meeting was held on April 10 to choose an eminent jurist who will be part of the selection committee to select the Lokpal. Noted lawyer Prashant Bhushan on behalf of petitioner NGO Common Cause urged the court to pass an order with a direction to the Centre arguing that the Centre was merely dragging its feet. But the bench only adjourned the matter by four weeks and fixed May 15 as next date of hearing. Venugopal replied : “At the earliest”. “The Act is more than four year old. Even after the order of this court, one year lapsed. Only when we filed a contempt petition they called for a meeting”, he had said. “At the outset let me state on behalf of myself, my party and the entire opposition that the ‘Special invitee invitation’ is a concerted effort to exclude the independent voice of the opposition altogether from the selection process of the most important anti-corruption watchdog. It negates the letter and spirit of The Lokpal and Lokayuktas Act 2013 in toto”, Kharge, leader of the Congress which is the single largest party in opposition in Lok Sabha, had said in a letter addressed to Prime Minister Narendra Modi. The Centre had on February 23 informed the Supreme Court that steps have been taken to process for the appointment of Lokpal, which has been delayed since the enactment of the Lokpal and Lokayukta Act in 2014, and a meeting of the selection panel was scheduled to be held on March 1. He had also said that the delay of the selection panel was due to the death of senior lawyer PP Rao, who was also one of the members in the panel, in September last year. Accepting the submission of the government’s senior-most law officer, the bench had directed the Secretary Department of Personnel and Training to file an affidavit giving detail about the steps taken by today. The court, which was hearing the contempt petition filed by NGO Common Cause, posted the matter to March 6 for further hearing. Advocate Prashant Bhushan appeared for the NGO. Under the Act, which was passed in the Parliament in 2013 but came into force next year after the President had given his assent, the Lokpal is to be appointed by the selection committee including the PM, CJI or his nominee and an eminent jurist.